Keys becomes only the fifth woman to ever host the show, following Queen Latifah in 2005, Rosie O’Donnell in 2000 and 1999, Ellen DeGeneres in 1997 and 1996, and Whoopi Goldberg in 1992. (Before Corden, LL Cool J somehow hosted for six consecutive years.) 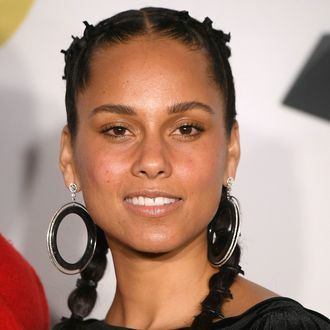 In her statement, Keys seemed to allude to last year’s sexist controversy with a nod to Time’s Up: “I’m especially excited for all the incredible women nominated this year! It’s going UP on Feb. 10!” Portnow added that she’s a “spokesperson for change” and “we are thrilled to have her on board for what’s sure to be an unforgettable GRAMMY Awards.” Unforgettable for better reasons, hopefully. The Grammys go down — sorry, up — on February 10 on CBS.